This Z Reader on Empire contains selected articles from Z Magazine from 1988 to 2012. 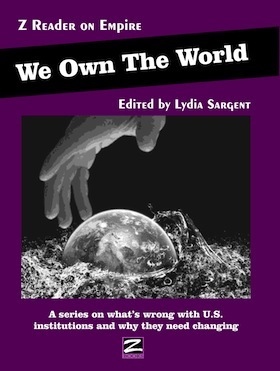 They cover the many ways–and institutions–the U.S. uses to build, maintain, and expand its empire. These include genocide, intervention, occupation, structural adjustment, the media, the UN, NATO, drones, death squads, theft, appropriation of resources, “free trade,” violations of international law and the U.S. Constitution.